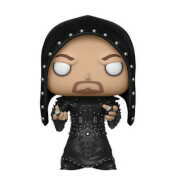 WWE's Stone Cold Steve Austin has been given the Pop! Vinyl treatment with this WWE Steve Austin Pop! Vinyl Figure! The wrestling legend and actor looks true to form in a black vest and knee pads. When you see just how cool the 3 3/4-inch tall WWE Steve Austin Pop! 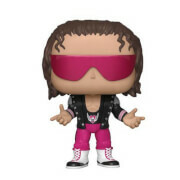 Vinyl Figure looks you'll want to collect the rest in the WWE line from Funko!